It is not as easy as one would think. I discussed in a previous post all the issues we’ve had with growing pumpkins in the past. Last year was our first successful growing season. Encouraged by our success, we grew pumpkins again this year. 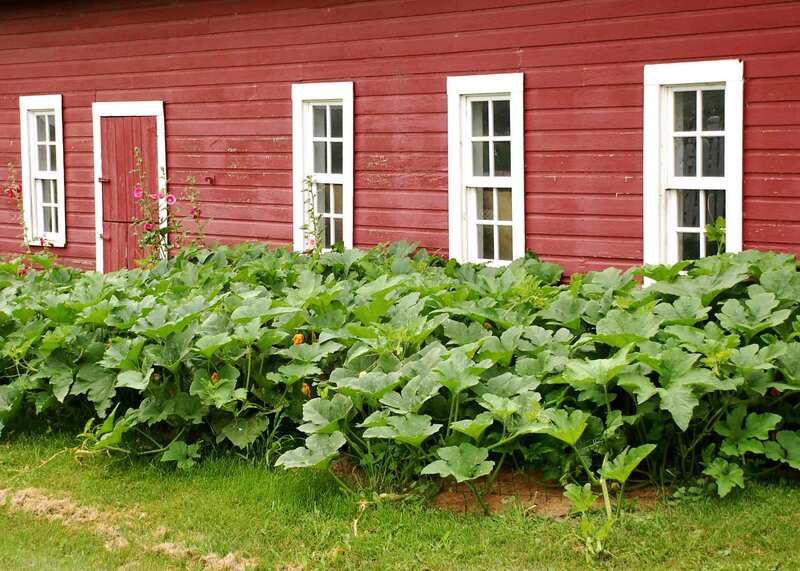 Our pumpkin patch looked beautiful and healthy earlier this season. The plants were robust and filled with blossoms. The weather, however, turned hot, humid and soggy during late summer. It seemed like overnight, the pumpkin patch turned into this powdery mildew mess. Powdery white spots appeared all over the leaves and eventually covered many of them. The severity of the infection started causing the vines to wither and die. 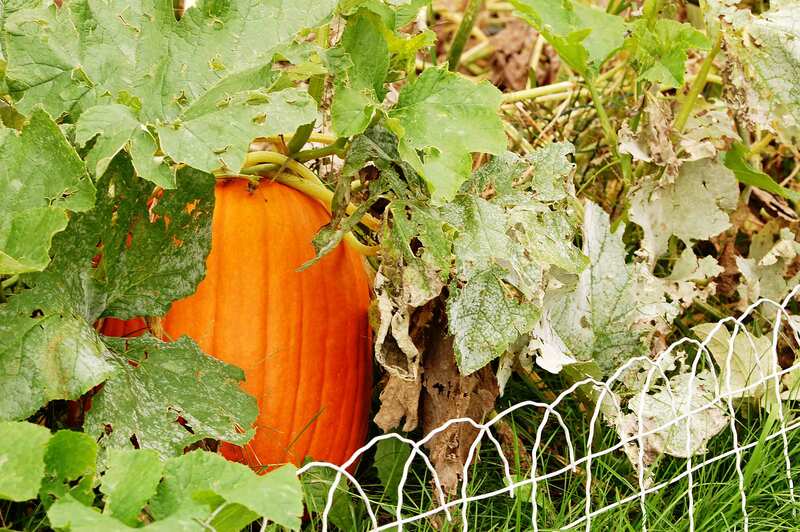 The good news is that there are several ripe pumpkins hiding under the disgustingly infected leaves. Powdery mildew is caused by a fungus. My challenge for next year will be to try to catch this sooner if it reappears and apply a fungicide and dispose of the infected leaves. Spacing the plants further apart to help with air circulation might help too. The thing with gardening is that just when you think you have something figured out, nature throws you a curve with weather, insects, disease, etc. 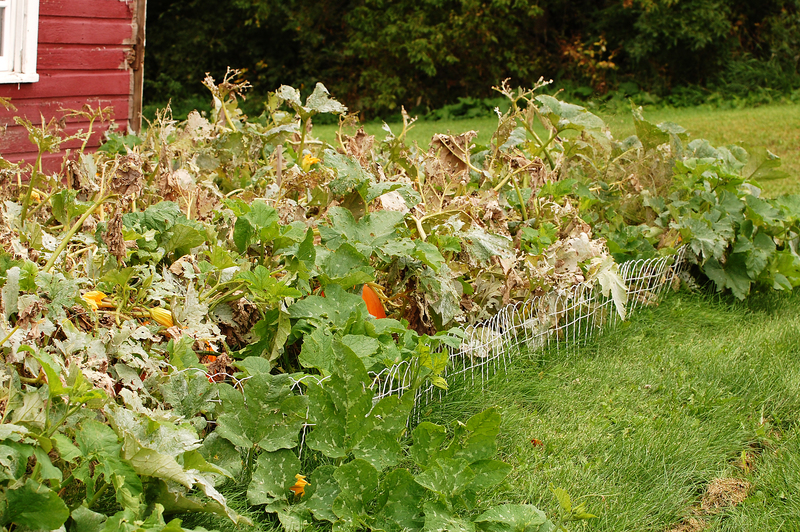 Gardeners are stubborn though, and this minor setback in my pumpkin patch will not deter me from trying again next year! I’ll post pictures of the pumpkin crop soon!